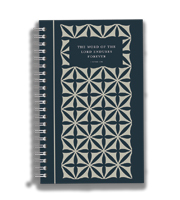 The majority of the materials in this category are produced by Lutherans For Life (LFL) and are offered here through our partnership with Concordia Publishing House. LFL offers high quality, easy-to-use resources to equip pastors, educators, and congregations to apply the Gospel of Jesus Christ to the life issues. For more information on how we can help you, contact us at 888-364-5433 or www.lutheransforlife.org. The bulletin insert is based on Isaiah 46:3b-4. These devotions aim to help us discipline our minds so that when we see the struggles in our own lives, we see the life of Christ working all to good. For all the millions of walking wounded in our society, for those who have had an abortion or have been affected by an abortion decision, there is a Word of Hope. God bases human value upon what He has done—created, redeemed, called! This is the digital version of Lutherans For Life's comprehensive three-ring binder (LFL1607) on life issues organized for easy reference. This booklet is written for those who are suffering from an abortion decision.